If you’ve checked out my 10 Day Trips from Dublin post you already know I suggest a trip to Powerscourt Waterfall. When my mom comes to visit we rarely leave Dublin, but I wanted her to also see some of the lush green that Ireland is known for! We planned an easy trip to Wicklow once we returned from our trip to Edinburgh and escaped the city for more scenic views. Powerscourt Waterfall is located just a little bit outside of Enniskerry Village. The waterfall is surrounded by the Great Sugar Loaf and Djouce Mountains. At 121 metres (398 feet), Powerscourt is the highest waterfall in Ireland. There is a fee of €6 for adults for entry for the day. Once you have paid and start your journey to the waterfall you will see several trees including beech, oak and pine. P joked that some of the trees were probably older than my country! While you can visit Powerscourt by foot, and we saw several people doing this, I would recommend either hiring a taxi from Enniskerry Village or driving if you have access to a car. Once at the waterfall you can get in the water, climb around the rocks, or relax and have a picnic or barbecue. This would be a great day out for a young family as there is plenty of room for kids to run around and tire themselves out! There is also a small kiosk inside the grounds that sells drinks, food, and ice-cream. After all that rock climbing I deserved a 99! Once we had our fill of the Powerscourt Waterfall we made our way back into Enniskerry Village. Enniskerry Village is your quintessential Irish village that makes you feel like you are much further from Dublin than you are. It is a nice way to escape the ‘hustle and bustle’ of Dublin for a few hours. We had a pint at Powerscourt Arms where the cutest town dog came over and hung out with us. A pint and a dog, my heart! We also split the Deep-Fried Wicklow Brie – highly recommended! From Enniskerry we went to the legendary Johnnie Fox’s Pub. 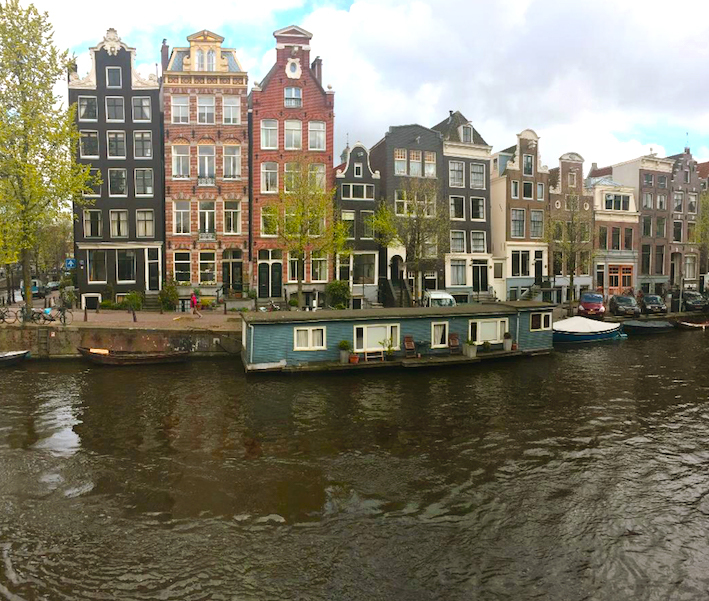 Would you believe this was my first time visiting after all these years of living so close to it? 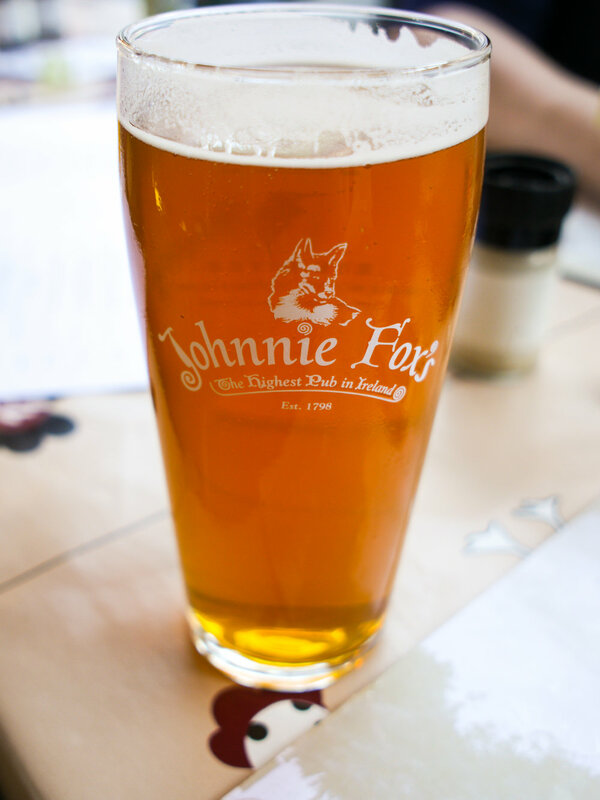 I had a pint of the Johnnie Fox’s Craft Pale Ale and it was cold, crisp, and delicious. What more could you want in a beer? If you like craft beer I would suggest trying this as opposed to the other general beers you can get in every other pub. If I visit a pub that has their own beer I always prefer to try it over others that I can easily get in the off-license or my local. Johnnie Fox’s even boasts their own museum. Now, it is more like two rooms full of random shite but I love looking at all the old knick-knacks. The inside of the pub reminds me of Cracker Barrel back home with all the old photos, store/brand signs, and general junk on the walls. I love the nostalgia of it all! Something I’ve never shared on here is I have a MA in Irish Studies. My degree is the reason I moved to Ireland and P is the reason I stayed, ha! Anyway, I LOVE Irish history and one of my favourite parts of the history that I enjoy researching and learning about most is the 1916 Easter Rising. Now, I’m not going to go on and on and on here like I could, but I wanted to share some history with you! In the pub I saw the plaques to a few Irish heroes (in my opinion!) and a copy of a letter to Patrick Pearse from the Commander of Dublin Forces. Outside the pub there is also a plaque with the seven signatories of the Proclamation of the Irish Republic. I loved these little nods to the history of the country without being corny. Fun fact – P’s great-great uncle fought in 1916! Even if you don’t have access to a car or if your entire group is looking to have a few drinks, Johnnie Fox’s has a shuttle bus that can pick you up from multiple locations throughout Dublin City Centre. The tickets are €10 which includes your return ticket too. 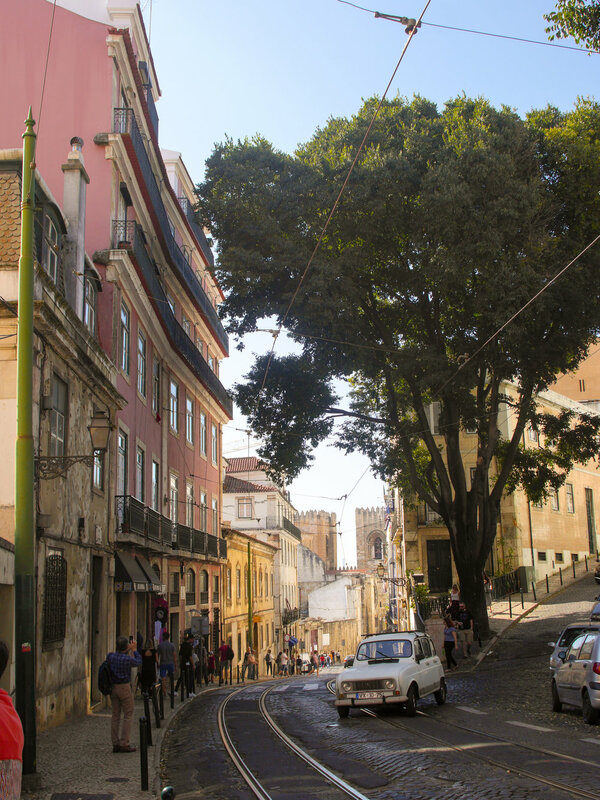 Tickets can be purchased from the driver as well as most of the hotels where the pick-up is. The bus will get you to the pub at 7:30pm and leaves 15 minutes after last orders. More information on the tickets can be found here. 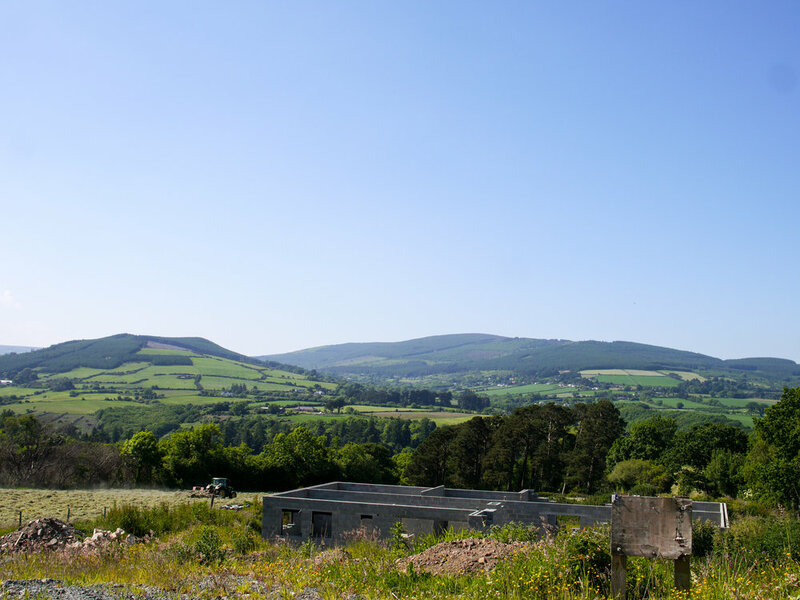 If you’re living in Dublin and looking for a short day trip or are just visiting Dublin (if that's the case, check out The Complete Packing Guide for Ireland) but looking for something different to do, this easy Wicklow Weekend itinerary will get you started in the right direction. Let me know how you get on if you check out any of the places mentioned! As always, if you have any questions on anything mentioned or has a suggestion for a post, you can leave me a comment below, send me a DM on Instagram, message me on Facebook or send me a tweet on Twitter. Don’t forget to follow me on Bloglovin' and Pinterest too!